Winter was knocking at the door, and I didn’t dare open it, too scared to let the cold freezing air in. Yes, until a big brown parcel arrived at my doorstep.. 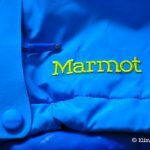 It was the woman’s Fulcrum jacket from Marmot! Taking the content out of the box, I was instantly surprised to feel how solid the jacket was. It was reasonably lighter than all my previous snow jackets I’ve had and it’s 100% seam taped layered construction caught my attention immediately. The jacket was insulated, so it meant I could actually stand out there and wait for the biggest wind to blow me off the summit and I would not fear. 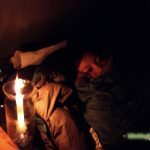 It was essentially important for me to have a hardshell jacket that’s water and wind proof protecting me from any kind of bad weather in winter. And yes, did I mention it was insulated? Oh yeah I did…so let me repeat that again…it’s insulated! 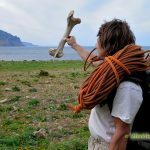 This would solve my problem of bringing many extra layers of fleece or down along for all those “just in case” times. 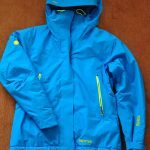 So let’s get down on the facts and features of this jacket. 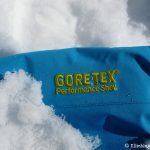 It’s outer Layer is made out of the Gore-Tex Performance Shell 2L (100% Polyester) and it has a WR Finish Isolation with a Thermal R Eco (also 100% Polyester). 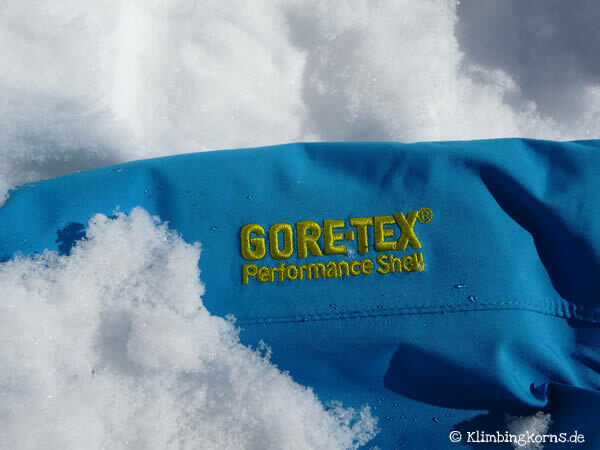 The two Layer Gore-Tex® fabric are durably waterproof, windproof and highly breathable. 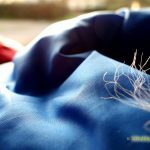 breathability is the newest keyword in the garments of today. It should not be just a piece of plastic which you wear while you sweat out everything else beneath that layer. It allows perspiration vapor escape which means keeping you cool while you are active and insulates while you stop to rest. The seams are all taped, making sure that moisture from outside doesn’t seep in. 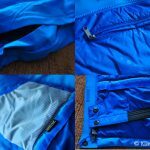 There are 2 zippers below the arms to help aggressive vapour to escape quickly, which is perfect for when you do not want to be taking off and putting on your jacket all the time during heavy activity. Velcro bands at the handcuffs makes it easy to adjust and the hood works well too when you have a helmet on your head. Remember fumbling always with your hood while it rains? It’s always either too short or so big that it covers your view. 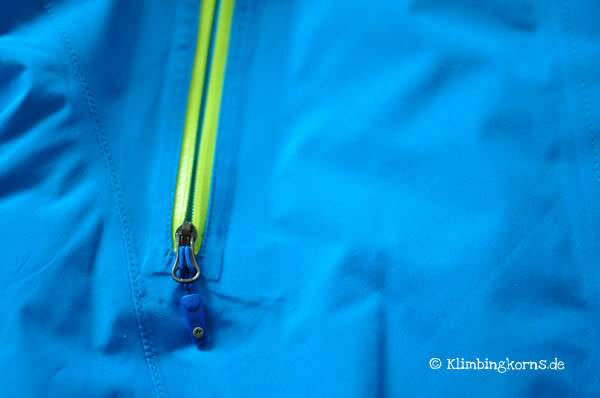 The laminated wired brim takes care of this problem with the Woman’s Fulcrum jacket. I finally opened the door for the winter and all it’s bad weather to enter. 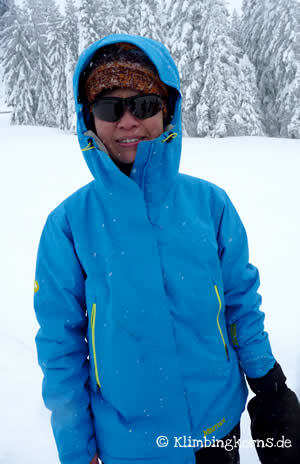 Together with my woman’s fulcrum jacket, we were going to be invincible. 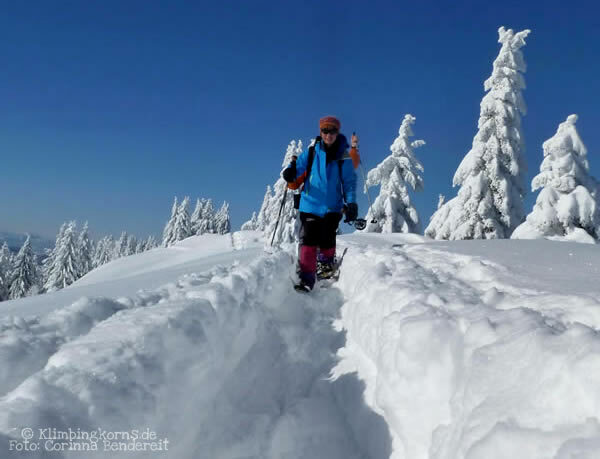 Since there were a few activities which you can possibly do, I used the jacket to cross-country ski, to back country ski and to snow shoe up the summit. The jacket warms up the torso immediately when you put it on. 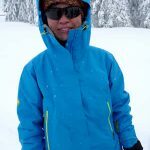 I felt very comfortable even on days when temperatures dropped to minus 16°c and all I had below was a base layer with my functional icebreaker pullover. It was really easy to put on the jacket, catch on the zipper and zip it up. There’s a nice soft chin protection so when the zipper is all the way up, you don’t actually even need any scarf or buffs to keep the wind out, and nothing scratches your face. 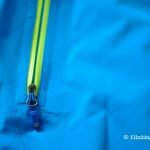 YKK zippers are great, I wouldn’t probably choose any garment without these zippers. 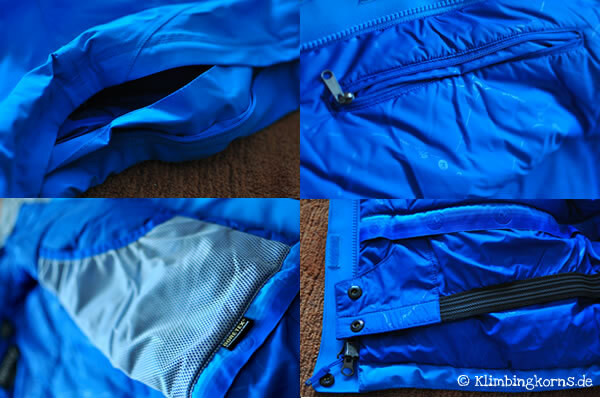 The arms are slightly pre-formed, increasing the comfort of the jacket while you move. Angel-Wing movement under your arms makes sure you have enough space while you’re active and does not hinder your activity. I loved the pockets inside this jacket. 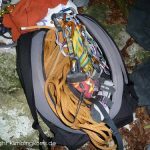 You could possibly stuff everything like your beanie, hand gloves or sunglasses in them and not lose them during your trip. 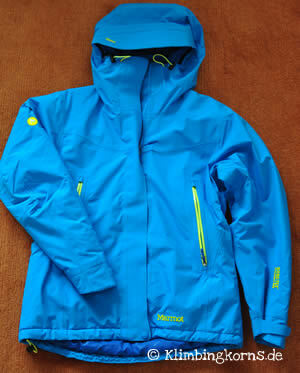 In all the activities where this jacket was used, they were sport activities that were extremely active. It meant always a hard work out up the summit, a rest and then the descend down. I’m actually a person who could walk up the hill in a tee with minus degrees around you. I sweat profusely and overheat then freeze easily. With the 2 ventilation slots under the arms it helped get the hot vapour out to cool down. 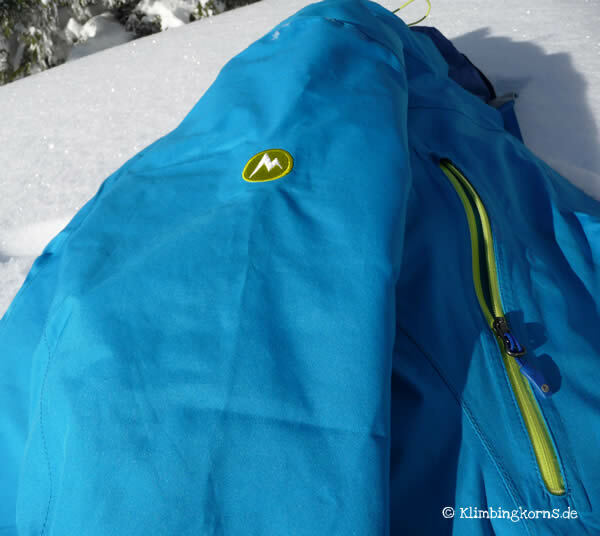 I would definitely not recommend using this jacket while cross-country skiing, because there’s more ups and downs in the terrain, and not typically the one time ascend to the summit and descend. 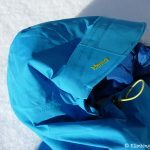 Even after resting a while on the summit, the jacket shields out any wind or coldness making the rest a pleasant one, before you start on your descend again. then you’ll happy you’re wearing this Fulcrum jacket because there’s absolutely nothing that can beat you up. 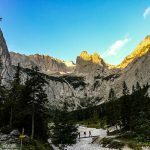 We had heavy snowfalls during one of my trips to the bloggers summit in Allgäu and it snowed and snowed and snowed. In the former days, you would normally observe how the mood of the group would drop due to bad weather. You knew that when you get out there, you’ll be back very soon, very unhappy that you’re cold, wet and freezing. But it didn’t really seem to matter to any of us. We were all well equipped with the right garment in this horrible weather. The hood went up, the zippers zipped up to the chin and I felt absolutely safe and invincible even after hours of wet, heavy snowfall. The wired brim made it easy to keep the hood in shape and gives you full view on the way you are focussing on. Wind and snow did not matter to me, it was a pleasure watching these drops of water pearling off the jacket. 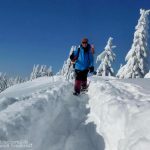 On a recent back country ski tour, the jacket and me fought through tons of powder snow we brought down the slope after each fall and the woman’s fulcrum jacket kept the snow out of my pants and body. 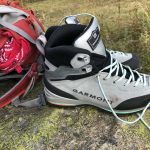 So the only thing which should be worked on is … my skiing technique! 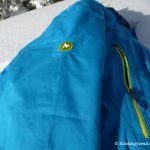 It’s a great jacket to wear during any alpine activity outdoors during the winter, and amidst the snow or rain. 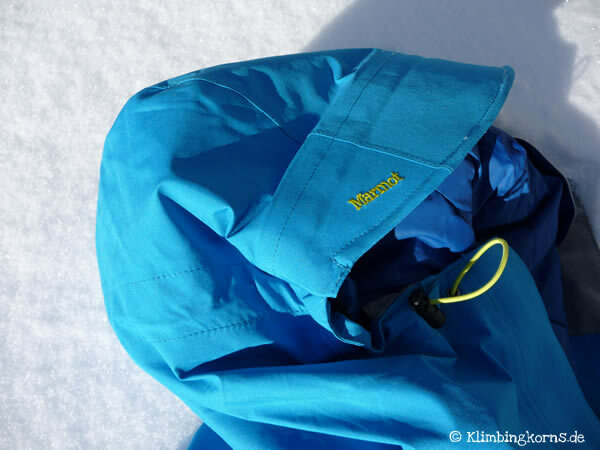 You won’t have to worry much about bringing many different insulation layers along, as this jacket does it’s job well. 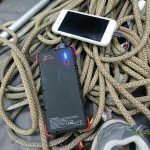 However, if you tend to perspire profusely like I do, you might want to look for a hardshell alternative without insulation, which means you will have to bring along the insulation yourself. 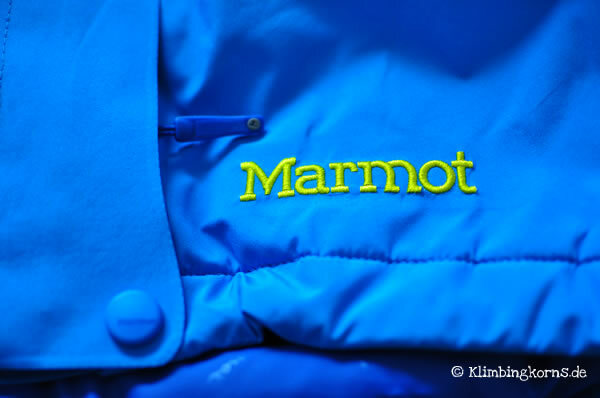 The high quality of the jacket ensures comfort and insulation even in the coldest, most horrible weather outside. So the winter isn’t so bad after all. I’m leaving my doors open in future. You too? 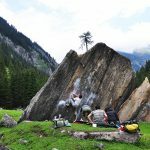 Thanks to Corinna for some of those awesome photos off the summits of Hochhäderich!